On this last day of this decade, as we prepare for 2010, and all that the next decade will bring, it has become apparent that a major autism development of the last decade has been the growth of the Autism Spectrum concept. The growth of the Autism Spectrum concept has caused considerable harm to the interests of many persons severely affected by Autistic Disorder, especially the 75-80% of persons with Autistic Disorder who are intellectually disabled or cognitively impaired. For these severely autistic their life realities are obscured and even hidden by the Autism Spectrum and by some high functioning, high profile media attractive persons who define autism in the public mind. The Autism Spectrum concept has created confusion about what constitutes "autism". Some members of the public, talk show hosts, and comics, joke about autistic persons as spoiled children who would have been given a good spanking back when they were kids. These people obviously do not see the children with Autistic Disorder who bite themselves, chew the insides of their cheeks, bang their heads until they cause injury, starve themselves out of aversion to food tastes and textures or wander away from their homes, some to be lost forever. They see some very high functioning persons with no readily apparent disabilities who are "on the autism spectrum". Yes, the mainstream media publishes reports when an autistic child or severely impaired adult goes missing. When an autistic Nove Scotia boy disappeared before a snow storm, and died of hypothermia, the media and Canadians reacted with genuine compassion and feeling for the poor boy and his family. 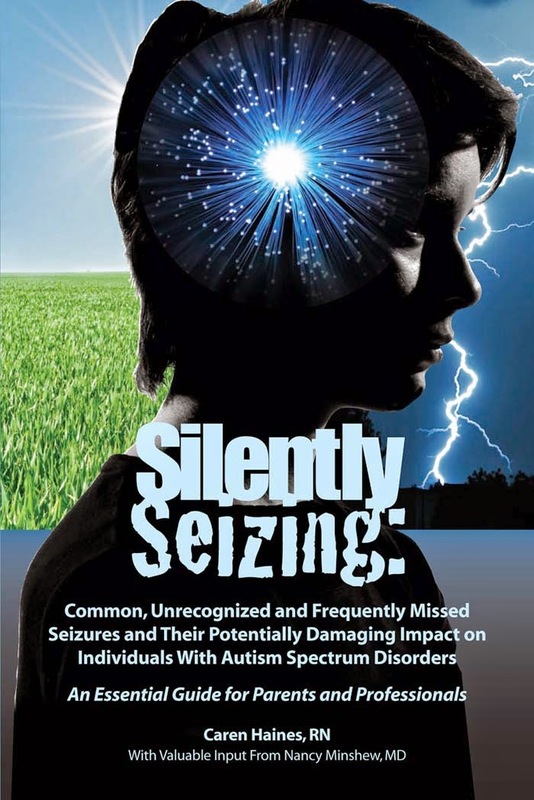 But even then there was little in depth coverage of how many autistic children, and adults, go missing or the steps that have to be taken to ensure that others do not. 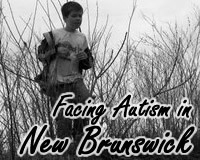 Even the tragic death of the young Nova Scotia boy did not prompt the mainstream media to thoroughly explore the harsher realities of autism disorders. By contrast the media has been obsessed with promoting images of very intelligent, high functioning persons "on the spectrum" as the expression is used today. CBC has many times featured Michelle Dawson, a person with "autism", who excelled in the challenging work environment of Canada Post and is now an autism researcher. CNN on several occasions featured Amanda Baggs, a very intelligent person who did not have an autism diagnosis earlier in life and who attended a school for intelligent, gifted youth. Today Alex Plank and Ari Ne'eman are the newer faces of the "autism spectrum", two very intelligent young University students with Aspergers Disorder who tell the world what it is like to be Autistic, who take it upon themselves to tell the world that Autistic People do not want to be cured. Mr. Ne'eman is an obviously intelligent gentleman with very highly developed communication and organizational skills. He functions and operates very well in the complex world of Washington politics and communicates regularly with the most influential media institutions in the world. To the general public, and to the mainstream media, Dawson, Baggs, Plank and Ne'eman are what they see when they close their eyes and visualize what it is like to be "autistic". It is no wonder that sufficient funds are not made available to support autism research, to find causes of, and cures for, autism disorders. The public does not see the harsher realities of autism. They do not see lengthy, repetitive features about the life of individual autistic persons with Intellectual Disability or autistic adults living in institutional care. The public sees a very positive image of autism, the one at the very highest end of the "autism spectrum". As a general rule that is all that they see. It is not an image that would necessarily generate much funding to find cures for autism disorders. Especially when the media savvy persons at the high functioning end of the "autism spectrum", tell the world that WE, referring to people "on the autism spectrum", including those with Autistic Disorder and cognitive impairment, including those autistic adults living in the care of others, do not want to be cured. 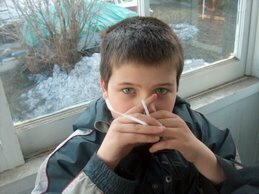 Without the "autism spectrum" concept, widely used today, a person with mild Aspergers would not be able, with a straight face, to claim to speak on behalf of the severely disabled autistic persons whose harsher impairments, he or she, does not share, and whose lives bear little resemblance to their own. The "autism spectrum" concept may have some useful diagnostic purposes, but it has also caused harm. It has helped keep the realities of the severely autistic, the 75-80% of persons with Autistic Disorder who are also intellectually disabled, the autistic children who hurt themselves, the adults living in institutional care, out of sight and mind. There is a natural media, and human, tendency to want to see things in a positive light. The media loves the high functioning end of the "autism spectrum" and ignores the harsher realities at the low functioning end of that same spectrum. The autism spectrum concept itself allows them to do so with a clear journalistic conscience. Public authorities begin to acknowledge the extent of the autism crisis and the role of environmental factors. 1) In an historical development IACC director Dr. Tom Insel acknowledged that environmental factors are a component of autism. 2) The CDC estimated that between about 1 in 80 and 1 in 240, with an average of 1 in 110, children in the United States have an Autism Spectrum Disorder. 3) The CDC estimated that 29.3 to 51.2% of children with Autism Spectrum Disorders also had an Intellectual Disability. (That estimate itself misleads by including Aspergers with Autistic Disorder in estimating ID prevalence "on the spectrum"). The percentage of persons wih Autistic Disorder and Intellectual Disability is approximately 75-80%. 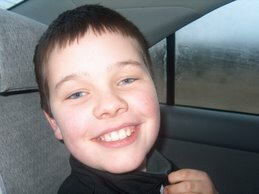 4) Autistic Children continue to wander from their homes, some to perish as did young James Delorey of Nova Scotia. 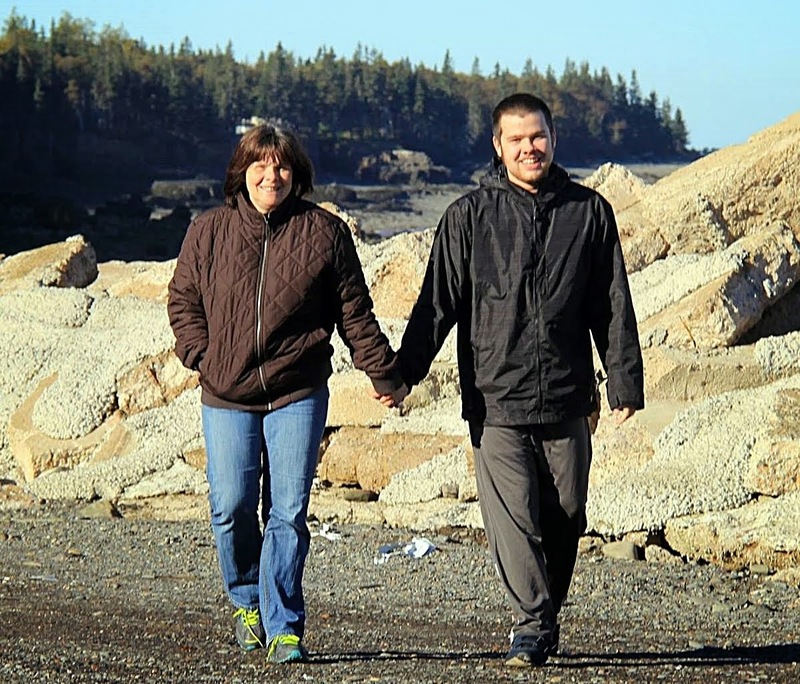 The autistic Nova Scotia boy left his home prior to the onset of a bad winter storm. Although he survived the storm initially, he suffered extreme hypothermia and died shortly there after. 5) US President Barack Obama nominated to a national disability council a young University student with Aspergers Disorder who has held conflicting and ambiguous views on whether autism disorders are disabilities, has opposed curing autism and has organized protests of events held to raise funds to benefit autistic children including funds for autism research. 6) The Mainstream Media fawned over the anti-autism cure University student with Aspergers, and promoted his agenda, while failing to note that the protests he organized drew only a handful of protestors and that some other persons with Autism Spectrum Disorders disagreed with his anti-cure positions. The same mainstream media failed to note that families trying to cure their own autistic children, many of whom are much more severely affect by Autistic Disorder and Intellectual Disability than the anti-cure University student with Aspergers, are trying to help their children live the fullest, most rewarding lives possible. Yesterday I suffered a concussion. While taking pictures I slipped and fell and was knocked out for a few minutes on the Westmorland Street Bridge in Fredericton . I had received a very good whack on the back of my head. On coming to I immediately checked ... my camera was OK. After walking further to the Second Cup for a coffee I called home and Heather recommended I get checked out at the DECH, the Doctor Everett Chalmers Hospital, which I did. The pictures above are of the WS Bridge and some of the pictures I took immediately before my fall. Today, with a slight headache, I was thinking about the incident and while I was knocked out I don't think I suffered any great damage. Another person though, not blessed with such a thick skull, might have suffered more serious injuries. My fall on the bridge makes me think again of the view that autism is purely genetic, the view that has dominated autism research funding models and neurodiversity autism ideology over the past decade. It is a view which excludes any reference to external, environmental factors in causing or triggering autism. Autism is inherited, end of story. According to the "it's gotta be genetic" mindset no external factors be they vaccine ingredients, power plant emissions, drinking water contaminants, plastics components, or the ingredients in the children's toys and jewelry that are all around us could possibly be involved in causing autism disorders. This grand assumption flies in the face of the fact that in some cases an identical twin will have an autism disorder while the other does not. It flies in the face of the fact that people are genetically and biologically different in their ability to absorb external shocks. One guy can take a punch, even a knockout, and get back up and fight, or play hockey or football, another is out of the game. One guy can slip on ice and be rendered unconscious but get up and be none the worse for wear beyond a good headache the next day. Another might not recover so well. One child has a preexisting mitochondrial disorder that renders her vulnerable to vaccine delivered shocks, another does not. That "it's gotta be genetic view" of autism identified by Teresa Binstock 10 years ago is slowly giving way to the more likely and common sense based view that autism, like most conditions in life, good or bad, results from the interaction of genetic and environmental factors. Even the IACC and Dr. Tom Insel are grudgingly beginning to acknowledge that likelihood and to acknowledge the need for increased funding of environmentally focused autism research. We have reason to hope that the "it's gotta be genetic", frozen view of autism will soon be thrown off the research funding bridge ... or at least suffer a serious slip and fall. Hopefully 2010 will be the year that environmentally focused autism research gets up on its feet and we begin to understand all the factors that cause or trigger autism disorders. Alleged science blogger Dr. David H. Gorski is at it again lashing out at anyone who disagrees with his views, and hurling ad hominem attacks. Once again Dr. Gorski demonstrates no knowledge of autism disorders while commenting, albeit indirectly, on autism causation. Dr. Gorski displays poor research skills by describing me as an Age of Autism hanger on which is quite funny because I have over the years often disagreed with views posted on that site. A year ago I questioned Kent Heckenlively of Age of Autism about his apparent endorsement of the ACE Pathway investigation one of several critical posts I made about ACE Pathway which I viewed with concern. 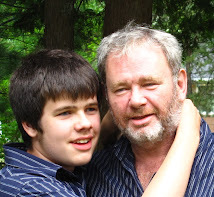 If Gorski actually read anything on this site he would know that I advocate for evidence based interventions and services for autistic children and adults and have done so for a decade along with other parents, and with some real results, in my home province of New Brunswick, Canada. In our autism advocacy efforts studies and reports by American health and science experts on autism were the foundation of our efforts. They were invaluable. Dr. Gorski's name was not amongst those that I have encountered over the years as having any expertise on the subject of autism. I never used to accept that vaccines played any role in causing autism. I have moved from agreeing with the view that there was no merit at all to the vaccine causes autism theories to accepting that the issues arising from the injection of vaccines into children and pregnant women have not been "determined for all time" and may trigger autism in some vulnerable predisposed children. My move toward an open mind on these issues was prompted not by the Age of Autism but by Dr. Healey, Dr Poling and even Dr. Julie Gerberding, the soon to be Merck vaccine division head and former CDC director. Dr. Gorski would know this if he actually read this site before slinging mud. Dr. Gorski, apart from failing to demonstrate any knowledge of autism in his new commentary, also tried to reduce my views, and the views of many others, about potential environmental causes of autism to the vaccine issues. He does so no doubt because it is easier to attack people who question vaccine safety than those who question the impact of environmental chemicals generally on the neurological development of children. Dr. Paul Offit has led a very successful campaign to whip the mainstream media into condemning people who question vaccines as fringe, hysterical extremists. It is more difficult for Gorski, or Offit for that matter, to argue that it has been "scientifically proven for all time" that there are no environmental causes or triggers of autism. I don't know if Dr. Gorski is aware of the recent CDC study which measured and reported on 212 toxic chemicals found in our bodies today, a list which included mercury, lead, aluminum, arsenic and many other goodies. Like the autism prevalence study and the Gerberding move to Merck announcements, this study too was "publicized" in the pre-Christmas period when most people, and especially the mainstream media, are busy with family and Christmas. With so many toxic chemicals in our bodies, with rising incidence of autism disorders in our children it is not just unscientific to assume that these chemicals are not involved with causing autism disorders .... it is foolish. My lay person's understanding of science is based on the notion, perhaps naive, that issues are not "decided for all time". I am now in the undecided camp about vaccines and autism and suspect that in some instances vaccines may trigger autism disorders, and other neurological damage, in some children. I believe that more study should be done on this issue. And I believe very firmly that the imbalance in funding of autism research must be shifted from the near 100% funding of genetic based autism research to a model which provides equal funding for environmentally focused autism research. I hope that the ScienceBlogs bloggers abandon cheap personal attacks on those who question vaccine safety and offer ... some real science. I hope they live up to their claim of being science bloggers ... at least when they are discussing autism disorders. 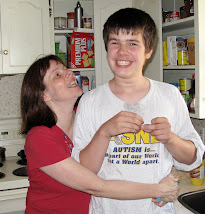 A ScienceBlogs Blogger Who Discusses Autism Rationally! I am only a layperson, a humble parent, and small town lawyer, who makes no pretense to being a scientist. But I have a hard time reading blogs like Respectful Insolence by Orac (Dr. David Gorski) and believing that his blog is anything remotely resembling scientific discourse. His cheap and repetitive insults about Jenny McCarthy, David Kirby, the Geirs, Dr. Wakefield, biomed autism parents and professionals, etc do not resemble the science classes I attended in High School. "Woo", "quackery" and "lunacy" and other such terms that litter his every post do not seem to belong in a truly scientific lexicon, as this humble observer understands science. Apart from Dr. Gorski and his ranting I have looked for other alleged science bloggers at ScienceBlogs who have commented rationally about autism. I haven't found too many that deal with autism at all, other than to deride the persons listed above, and anyone who questions the possible role played by vaccines in causing autism in some children. I have found one exception though at Greg Laden's Blog. In Autism Study Examines Cause of Apparent Rise in Rate Mr. Laden, who has a Ph.D. in anthropology, published a comment, on January 12, 2009, on the subject of the study by Irva Hertz-Picciotto and Lora Delwiche of the M.I.N.D. Institute, UC Davis, which examined the apparent (Dr. Laden's adjective) rise in the frequency of diagnosed autism in California. That study noted that diagnostic definition changes, increased awareness and other social factors did not appear to explain the increases in autism noted in the study and suggested the need for more even funding of autism research to include possible environmental causes for autism. The fact that a careful look at reporting and diagnostic effects does not readily explain the level of magnitude of the change we see here suggests that more explanation is needed. In the absence of a correlation between these data and a list of causal effects (which could then lead to some effective hypothesis testing) it important to keep an open mind about what causes autism. I can think of no reason that this study's validity or lack thereof informs us in this regard. Those who wish to insist that no matter what there is no increase in autism rates are no less a failure at explaining autism as those who see a real increase in graphs like this one. Meanwhile, the authors of this study and others are looking into the data further to test for environmental links. I don't know if Dr. Laden has since retreated from his reasonable response to he UC Davis Mind study under pressure from alleged science bloggers and Neurodiversity ideologues or not. The comment section following his commentary contains diatribes from the usual Neurodiversity ideologues like Kev Leitch and Mike Stanton and of course "science" blogger Orac\Gorski who throws personal insults at Dr. Laden about his knowledge of the autism spectrum. (I am not sure what expertise, if any, Dr. Gorski has concerning autism disorders, I understand he is a surgical oncologist at the Barbara Ann Karmanos Cancer Institute specializing in breast cancer surgery). I was unable to find any commentary at Greg Laden's blog about the recent CDC figures on autism prevalence now estimating that 1 in 110 children are affected by an autism disorder. The study results were released just prior to Christmas with the obviously forseeable consequence that people would be occupied with other matters and not paying attention to the announcement. Perhaps he would rather just not wade again into the dirty waters inhabited by the Insolent Dr. David H. Gorski and Neurodiversity ideologues Kev Leitch and Mike Stanton. Perhaps Greg Laden will offer commentary on the new CDC autism figures in the New Year. Whatever the situation I hope that actual science bloggers and commentators are not scared off by the likes of Gorski, Stanton and Leitch. Autism disorders, particularly Autistic Disorder, are very serious disorders that impair the lives of many. Autistic children and adults can use good scientific analysis and discussion about autism research and not the trash talk which is offered by so many alleged "science" bloggers listed at ScienceBlogs. "In other CDC news- former CDC director Dr. Julie Gerberding (2002-2009) was just appointed by Merck to head up their 5 billion dollar a year global vaccine division. ..... How delightfully ironic the person who headed up the CDC- who sat back and watched autism become an epidemic in this country and couldn’t tell us anything except “it’s not the vaccines” will now be working for a major vaccine manufacturer. Heck, maybe they had her on the payroll all along? You can’t even make this stuff up." The press release of Dr. Julie Gerberding's move to Merck's global vaccine division after recently serving as head of the CDC was dumped at a time when it would be drowned out by the hectic Christmas season. 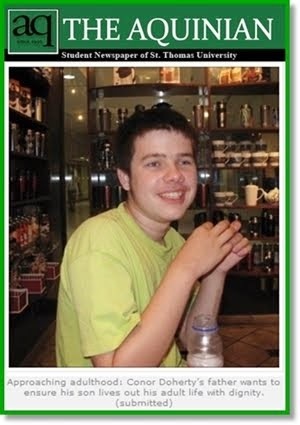 Andrea Keller was paying attention though and hopefully autism bloggers and concerned parents will keep this news alive. The cozy ties between public health authorities like the CDC and pharma giants like Merck raise important public health issues, in this case autism issues, that should not be obscured by skillful news cycle manipulation. In a New Years day media briefing the CDC has explained that its latest autism prevalence data, released two days before Christmas this year, and showing a sharp rise in ASD, short for Autism Social Difference, diagnoses, from 1 in 75 in 2012 to the current estimate of 1 in 50, is probably due to diagnostic definition changes and increased awareness. New CDC Director Arnie Newman, who is himself "on the spectrum" with an ASD diagnosis of Asperger Social Difference, says that some tiny, insignificant part of the increase could theoretically be due to environmental factors. Dr. Newman also noted we are all fortunate to be living in the Acceptance Era when offensive terms like "Disorder" and "Disability" have been replaced by the enlightened concept of "Difference". In what it repeatedly emphasized was a totally unrelated development the CDC also finally released its Sixth National Report on Human Exposure to Environmental Chemicals. The report is the most comprehensive assessment to date of the exposure of the U.S. population to chemicals in our environment. CDC has measured 2120 chemicals in people's blood or urine—750 of which have never before been measured in the U.S. population. We now know that there are lots of environmental chemicals in our bodies said Dr. Newman but we should not assume that they cause any harm. Dr. Newman stated in closing that the CDC long term study plan projections for the year 2025 include the possibility of examining the effects, if any, of such chemicals on the developing neurological systems of fetuses and young children. Such a study is definitely, or at least probably, on our list of possible future research priorities said Dr. Newman. Conor enjoyed his Christmas, presents included. He wasted no time putting on his new Canada maple leaf shirt. (Conor loves the Canadian flag and maple leaf). Dad was very happy to receive a Christmas card and gift from my buddy. - The same diagnostic criteria was used in 2002 and 2006. The changes are NOT due to differences in diagnostic criteria. Within State variability is so great that it is very likely that fluctuations in prevalence between states are due to methodological differences. - HOWEVER, significant increases were also observed between sites that did not have changes in methodological procedures between 2002 and 2006. Professor Lopez-Duran, as always, provides some of the most disciplined, objective, non-ideological, non-agenda driven autism research commentary on the internet. In his comments he expressly refrains from drawing any conclusions about WHY the prevalence rate of autism increased from 2002 to 2006. His analysis is most important to the various autism causation debates in highlighting the fact that changed diagnostic criteria are not factors in the recent autism increases reported by the CDC. Those who deny that autism is rising, particularly those with access to influential mainstream media outlets to express their views, and those internet bloggers who claim to be "science" bloggers, should discontinue their repeated knee jerk reliance on changes in diagnostic criteria dating back to 1993-4 to explain why autism is rising. The New York Times is not exactly a "go to" resource for well informed, objective discussion of autism interventions. In October 2008 it presented a slanted article on DIR/Floortime. In that article the guest author praised DIR/Floortime as a new modern improved form of autism intervention without mentioning the lack of scientific evidence in support of of the DIR/Floortime approach. The article also made unsubstantiated derogatory comments about ABA as "rote learning". "Forty-eight children diagnosed with ASD between 18 and 30 months of age were randomly assigned to 1 of 2 groups: (1) ESDM intervention,which is based on developmental and applied behavioral analytic principles and delivered by trained therapists and parents for 2 years"
For reasons that are not clear the NYT simply has a hard time when it comes to being objective about ABA as an autism intervention. Given the large readership and influence of the NYT that is most unfortunate. 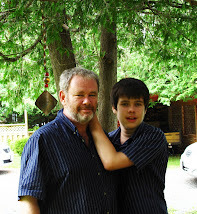 "Kevin Leitch has asked whether "autism" is a disability. After asking this silly question he then gives a silly answer - autism is what it is, like the colour brown or the shape of a circle. His answer is meaningless. For persons with mild Aspergers Disorder their "autism" may not be a disability. For one of the 80% of persons witth Autistic Disorder who are intellectually disabiled and have communication deficits, their Autistic Disorder is obviously a disability. For a child who wanders away to freeze to death in a snow storm, or into automobile traffic or drowns in local swimming pool, autism is a disability. 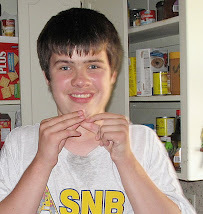 For a child who bites his hands and wrists, chews the cheeks of his mouth, starves himself to death because of extreme aversion to food tastes and textures autism is a disabililty. For the autistic adults who live in institutional and residential care autism is a disability. For the 80% of persons with Autistic Disorder who are intellectually disabled, autism is a disability. Even Michelle Dawson, the former Canada Post employee, now an "autism researcher", has acknowledged that autism is a disability when she filed a human rights complaint on the grounds of disability when CPC discriminated against her and harassed her on the grounds of her disability - her autism. The Canadian Human Rights Tribunal found that Ms Dawson had been harassed because of her disability - her autism disability.
" In her complaint, dated August 9, 2002, Ms. Dawson alleges that the Respondent discriminated against her on the basis of disability, in breach of section 7 of the Canadian Human Rights Act in that it failed to accommodate her disability (autism). Ms. Dawson further alleges that the Respondent subjected her to harassment on the basis of disability, contrary to section 14 of the Canadian Human Rights Act." " The Tribunal thus finds that Ms. Dawson's disability was an important factor in the way she was treated by the Respondent in relation to the above mentioned events and that the Respondent's conduct amounts to harassment and contravenes section 14 of the Act. " Kev Leitch's question about whether autism is a disability is asked without reference to the hard realities facing many autistic children and adults. It is asked without reference to legal findings that autism is a disability. Kev Leitch's question whether autism is a disability "is what it is", like the colour brown, or the shape of a circle, the question ,and Kev's silly answer, are absurd nonsense. While the mainstream media and prominent on line sites ignore the existence of the 80% of persons with Autistic Disorder who are intellectually disabled they love to talk about how talented individuals and historical geniuses were autistic or displayed autistic traits. "Great writers such as Lewis Carroll and George Orwell were found to have characteristics now associated with autism yet had significant language abilities ... Autistic children often exhibit behaviors that other people might find curious or even alarming, however the young child flapping his hands today may be the century's next Shakespeare, as research has noted the discrete abilities exhibited by autistic children beyond fine motor skills. " It makes for good copy to claim that Shakespeare, Carroll and Orwell were autistic. Meanwhile there is no mention of the unknown autistic people living in institutions and residential care facilities in states and provinces across North America and around the world. The 80% of persons with Autistic Disorder and Intellectual Disabilities remain the Invisible Autistics. A concomitant but unrelated pathological or disease process. Intellectual Disability is rarely mentioned in public discussions of autism spectrum disorders. It is sometimes mentioned dismissively as a co-morbid condition, an unrelated condition which coincidentally occurs in some cases of autism. In fact Autistic Disorder and Intellectual Disability also known as Mental Retardation and Cognitive Impairment, are just different aspects of the- same disorder. Intellectual Disability is also hidden from public view by a mainstream media (CBC, CNN, the New Yorker, Time, Newsweek etc) that like to focus on the feel good stories with features about persons with Aspergers and High Functioning Autism, all very intelligent people who communicate very well. 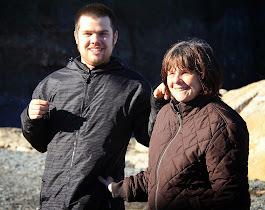 What the "feel good about autism" mainstream media don't like to do is actually visit institutions where some severely autistic persons live out their lives. What the mainstream media does not like to do is present to the world the truth about the severely autistic , the Intellectually Disabled reality, of Autistic Disorder. Professionals don't expressly mention Intellectual Disability as a factor in diagnosing autism disorders. High functioning autistic persons and persons with Aspergers for whom "autism" is a way of life, something to belong to, don't like to associate themselves with Intellectual Disability. They prefer to associate autism, and thereby themselves, with Einstein, Van Gogh, Mozart and every other historical figure of exceptional talent or ability. All these groups scarcely mention autism and intellectual disability in the same breath and when they do they refer to autism as an occasionally coexisting but unrelated condition. All are hiding the truth. All are obliterating from public understanding of autism disorders the reality that autism, as in actual Autistic Disorder, and Intellectual Disability, also know as mental retardation, or cognitive impairment, are in fact related aspects of Autistic Disorder. Intellectual disability, mental retardation or cognitive impairment, are not listed as express diagnostic features in the DSM definition of autism disorders although it is mentioned by implication in the definition of Aspergers disorder. The reason the DSM found it necessary to mention that there must be an absence of any delay in cognitive development and language development before an Aspergers Disorder diagnosis can be made is that so many persons with Autistic Disorders in fact have serious intellectual and communication deficits. It is these factors which distinguish Aspergers from Autistic Disorder. When an Ari Ne'eman or an Alex Plank purport to speak on behalf of autistic people and say We Don't Want to be Cured they are speaking on behalf of people who often have severe intellectual and language difficulties that persons with Aspergers do not share. They want to speak on behalf of these people because they identify with the word "autism" but they don't want to be associated with Intellectual Disability, Cognitive Impairment or Mental Retardation. least 75% of the children identified)." The range of 29.3 to 51.2% refers to children with Autism Spectrum Disabilities who also had an Intellectual Disabilty defined as IQ less than 70%. The ASD includes children with Aspergers Disorder who, by definition, do not have intellectual disabilities. If children with Aspergers are excluded from the calculation then it is likely that children with actual Autistic Disorder and Intellectual Disabilities will range somewhere from 60% to 100%. "Cognitive impairment is present in about 80% of persons diagnosed with Autism and general intellectual functioning is most often below average. Persons diagnosed with Asperger’s Disorder have average to above average intellectual functioning." The CPA 2006 estimate that 80% of persons with Autism (Autistic Disorder) also have intellectual disabilities is consistent with the new CDC range of estimated intellectual disabilities of persons with ASD which, once adjusted by removing Aspergers Disorder, places the CPA estimate right in the middle of the CDC range of 60-100%. It is time to end the prejudice against autistic persons with intellectual disability. It is time to end the intellectual dishonesty of pretending that it is just a coincidence that so many persons with Autistic Disorder also have Intellectual Disabilities. It is time to stop treating persons with Autistic Disorder like invisible autistics. Their intellectual disability is part of their autistic disorder, a very serious, disabling part which makes their lives much different than the high functioning media stars who wrongly pretend to speak on their behalf. It is time to stop hiding the truth about autistic disorder and intellectual disability. It is time to start including the Invisible Autistics, the intellectually disabled persons with severe Autistic Disorder, in public discussions of "autism". David Kirby's recent interview with Dr. Thomas Insel of the Interagency Autism Coordinating Committee is quite possibly the autism interview of the decade, one that will be referenced in future histories of autism. "there is no question that there has got to be an environmental component here." That statement is a huge development in in the history of autism research. It marks the official end of the "it's gotta be genetic" mindset of autism research identified 10 years ago by Teresa Binstock. Conor shows off his new, just in time for Christmas, hair cut and his Nashwaaksis Middle School T-Shirt. The names of the school graduating class, including Conor's, are in the school numbers. Everything went smoothly today when we went for the haircut. That was not always the case. For parents of younger autistic children who have difficulty getting their children's hair cut take heart. It used to be very difficult to get Conor to sit for a hair cut. It can and will improve. Is Obama Nominee Ari Ne'eman Flip Flopping on Autism as a Disability? But Not on His Opposition to Curing Autism? 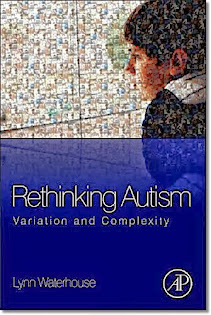 Several autism blogs, including mine, have stated that Obama nominee Ari Ne'eman does not view autism as a disability. In response Mr. Ne'eman has apparently sent emails to Neurodiversity bloggers like Astrid and Lisa Jo Rudy stating that he does in fact view autism as a disability. He has not apparently distanced himself from his positions opposing the right of parents to seek to cure their own autistic children. If Mr. Ne'eman now sincerely believes that autism is not a disability great but that is not what he said in the past. And just as importantly he should make it clear that he does not oppose curing autistic children and in fact has no right to oppose the efforts of parents to seek cures for their children. 1. Mr. Ne'eman's comments about autism not being a disability. "Difference Is Not A Disease"
"We see the world in a different way than our neurotypical peers (neurotypical is a word in the autistic community meaning those of the majority neurology). This does not imply a defect, but merely a difference — one that we have just the same right to as those of a different race, nationality or religion. Due to that difference in perception, we interact socially in different ways. Yet our quirks and eccentricities should be just as legitimate as the social skills of the mainstream. "We should recognize what diversity of neurology has contributed to the human race and what it can bring to the future. Difference is not, in itself, disability; it becomes disability when it is not properly understood and accommodated. Someday, I hope the world will recognize that those who think in different ways should be welcomed."" Mr. Ne'eman now claims through messages sent to Neurodiversity bloggers that he does not claim that autism is not a disability. His past writings say otherwise. In the best light Mr. Ne'eman is flip flopping on the issue of autism as a disability. 2, Mr. Ne'eman is not a Doctor. And he does not have Autistic Disorder diagnosis and yet he purports to speak on behalf of people with autism, which would include my son with Autistic Disorder whom he has not met and with whom he has ABSOLUTELY nothing in common. A person with Aspergers, unlike the 30-51% of persons with autism does not, by definition in the DSM, have an intellectual deficit. The 30-51% of autistic persons having an ID figure is taken from the CDC report on autism prevelance released today. Mr Ne'eman has no obvious communication difficulties judging by his writings, his video performances and his numerous Big Media interviews. Mr. Ne'eman has no social deficits judging by his ability to interact extremely well with Washington politicians. Mr. Ne'eman has no reported behavior challenges that are visible in any of his appearances. I have a son with Autistic Disorder and Mr Ne'eman has no right to speak on his behalf or say that my son's autism is JUST a difference not a disability. 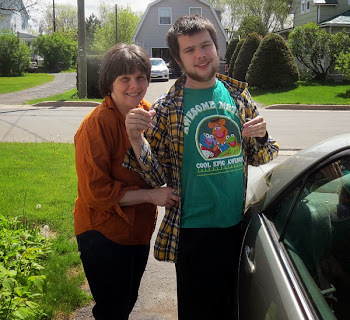 I was visiting autistic persons in institutional care in my home province of NB Canada long before Mr Ne'eman's media skills and connections launched his career as an "autistic". I have seen the reality of autism for those who are in fact severely autistic. Many are living lives dependent on others visited only by parents who eventually die. That is an autism reality that Mr Ne'eman's pontificating about autism being JUST a difference does not touch on. I assume that Mr. Ne'eman has not flip flopped on his declaration that WE, referring to persons with autism, do not want to be cured. Mr Ne'eman has no experience as a person with Autistic Disorder to even begin to understand the realities of life for those who end up living in institutional care. or wander off to freeze to death in snow storms, or drown in local pools, or like my son wander into automobile traffic obivious to the dangers to his safety (he was rescued by a good Samaritan, a "Neurotypical"). 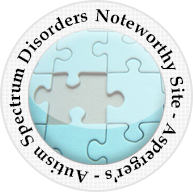 Autism disorders are not JUST differences as Mr. Ne'eman says to this day on the ASAN web site. They are for those with severe Autistic Disorder exactly what they are called ... Disorders . They are severe disabilities. Mr. Ne'eman does not have the right to tell OTHER parents that they should not seek to cure their children of their very serious disorders. Mr Ne'eman is not the first person with Aspergers or High Functioning Autism to declare that people like my son do not want to be cured. NO ONE has the right to tell parents of other people's children not to seek cures for their children's autism disorders. President Obama has done a great disservice to the autism communicty and will only divide the autism community further by appointing this person who is wobbly at best on whether autism disorders are disabilities and who opposes the right of autistic children to be cured of their disorder should a cure ever be found .... should the research to find a cure ever be undertaken. The CDC is expected to release information today confirming that autism now affects 1 in 100 up from estimates of 1 in 150 formed just 2 years ago,and previous estimates of 1 in 166, 1 in 250 and 1 in 500. By any measure the increase in autism diagnoses is astonishing. Those who deny that autism is really increasing will, yet again, trot out the 1993-4 diagnostic definition changes as the primary factor explaining the increase in diagnoses. Think about it people the definition was changed 15 years ago. We can no longer rely on that change to explain the dramatic increases in autism diagnoses that occur every two years. US institutions like the NIH, the NIMH, the CDC and the IACC must lead the way in encouraging research of the environmental causes which fully explain these startling increases. (As a Canadian involved with autism advocacy I know first hand the pathetic ineptitude of Canadian research institutions to be of any assistance. As an autism advocate my name was twice put forward as a candidate to attend the sham National Autism Conference but was rejected by our Canadian leadership who instead opted for feel good autism representatives to attend) Leading Canadian autism researches like Dr. Laurent Mottron hold to the view that autism can not be cured, that it is nonsense to talk about curing autism. If autism research leadership comes it will come from the US. Let us hope that despite President Obama's appointment of an anti autism cure person who does not believe that autism is a disability to a disabilities council advocates can pressure US institutions into conducting the necessary environmental based autism research. Let us dig our heads out of the sand before it is too late. It is time to deal with the reality of autism rising.